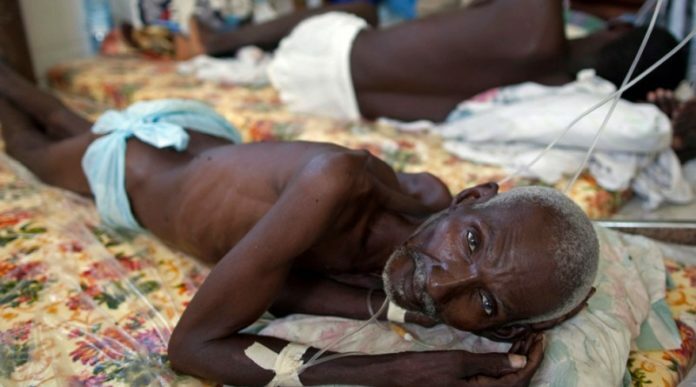 A Haitian victim of UN-imported cholera. Despite promises, the UN has refused to engage in meaningful consultation with cholera victims. Sixty human rights organizations from Haiti and around the world urged United Nations Secretary-General Antonio Guterres to act decisively to protect victims’ right to an effective remedy for their injuries and keep the promises of its December 2016 “New Approach to Cholera.” The groups note they “are increasingly concerned that the UN is once again retreating from accountability” 18 months after the New Approach announcement. The letter was signed by leading international human rights groups including Amnesty International and the International Service for Human Rights, prominent Haitian human rights groups, and national human rights organizations from the Philippines to Uruguay. The organizations indicated that they were “pleased to see the UN begin to make amends in 2016 by apologizing to the Haitian people and launching a new plan to eliminate cholera and redress victims” that promised to “put victims at the center of the work.” But the groups’ optimism has waned because the UN has refused to engage in meaningful consultation with the victims or explore victims’ interest in compensation for the damages they have suffered. 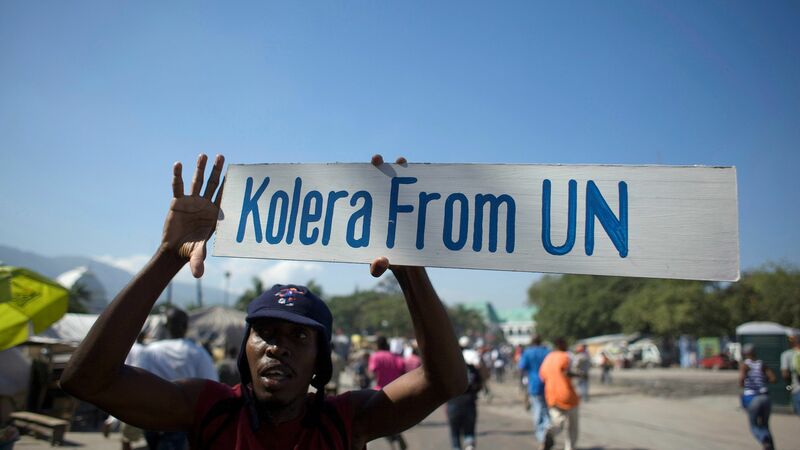 A Haitian protests UN responsibility for unleashing cholera in Haiti. Some 10,000 have died and about one million have been sickened. Cholera was introduced to Haiti in 2010 through reckless waste management on a UN military base. In the face of overwhelming scientific evidence and immense public pressure, the UN finally acknowledged its role in the outbreak in 2016 and launched a $400-million-dollar plan – the “New Approach to Cholera in Haiti” – that aims to eradicate the epidemic and provide a victim assistance package. The UN pledged that its assistance package would represent “a concrete and sincere expression of the Organization’s regret” and presented two potential approaches to justice for victims: individual payments to affected households, and community projects, which would be decided upon through a process of victim consultation. Eighteen months on, under Secretary-General Guterres, the UN has increasingly retreated from these promises. Secretary-General Guterres has previously been criticized for the direction of the UN’s plan under his administration. Last month, over 100 members of Congress sent a bi-partisan letter expressing their concern that the New Approach “is not meeting victims’ rights…and needs” and questioning whether “community projects alone will redress the harms to affected families.” Cholera victims themselves have also consistently underscored their need for direct financial support. In a series of video messages to the Secretary-General late last year, victims explained the devastating impact that losing breadwinners and businesses had had on their lives. A failure by the UN to fulfill its pledges, they note, could “greatly undermine” any efforts of the UN’s new force in Haiti, the United Nations Mission for Justice Support in Haiti (MINUJUSTH). Next articleJack Guy Lafontant, la énième victime des barricades !